﻿ Cryptocurrency Alliance Bitcoin Breakdown | Episode 6 | Can we break 6k? Find out now! Cryptocurrency Alliance Bitcoin Breakdown | Episode 6 | Can we break 6k? Find out now! 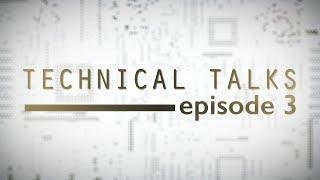 Cryptocurrency & Bitcoin Technical Analysis with Crypto Coach Dave. 1. Is the market still bearish? 2. We take another look at inverse head and shoulder pattern. 3. Can we break 6k? Are you interested in investing into Bitcoin or trading Cryptocurrency? If so you want to subscribe to this channel and watch crypto trading expert Dave Rodriquez's daily crypto technical talks. In this video Dave shows you where he thinks BTC is headed as well as what patterns he is seeing to make his predictions! Trading BTC can be fun and profitable IF you educate yourself before gunslinging and throwing your hard earned money around. In our Technical Talk series of videos, crypto trading expert Dave with the Cryptocurrency Alliance breaks down his read of the current BTC/USD charts and predicts where he thinks Bitcoin is heading next. Cryptocurrency Alliance Bitcoin Breakdown | Episode 41 | XRP and BTC. What does the FUTURE hold? Cryptocurrency Alliance Bitcoin Breakdown | Episode 16 | Let's see if it HOLDS! Cryptocurrency Alliance Bitcoin Breakdown | Episode 10 | Another BTC Dive? Trade the weekend? 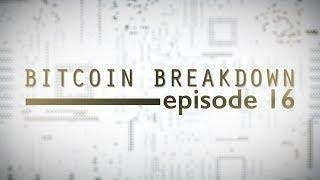 Cryptocurrency Alliance Bitcoin Breakdown | Episode 21 | BTC to $5,000? . Cryptocurrency Alliance Bitcoin Breakdown | Episode 39 | Check out the Alliance Account! Cryptocurrency Alliance Bitcoin Breakdown | Episode 15 | Previous Support May NOT HOLD! Cryptocurrency Alliance Bitcoin Breakdown | Episode 14 | Are we in a no trade zone?